Michael Z. Williamson was born in Birkenhead, England and raised in Liverpool, and Toronto, Canada, before moving to Columbus, Ohio. An 18-year veteran of the US Army and US Air Force, he is a state-ranked competitive shooter in combat rifle and combat pistol. 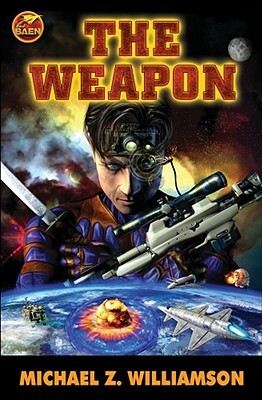 His other books include Freehold (Baen), the Target Terror series for Harper-Collins, so far including Targets of Opportunity and The Scope of Justice, and The Hero, a collaboration with New York Times best-selling author John Ringo for Baen. He currently lives in Indianapolis with his wife Gail, their two children, and various cats that are not to be trusted.